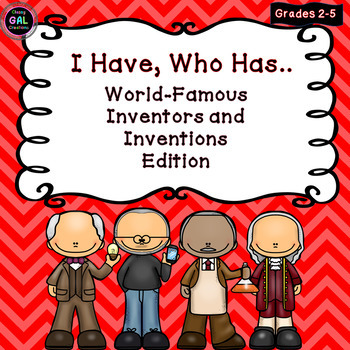 This resource is a version of the popular "I Have, Who Has..." game. 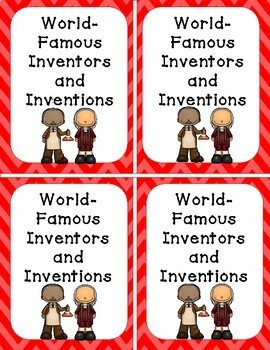 This whole-group activity is a fun way to engage students as they learn about famous inventors and inventions of the past and present. There are 20 cards included in the set. 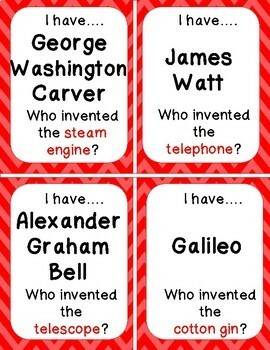 Some of the inventors mentioned include Benjamin Franklin, Thomas, Edison, George Washington Carver, and Steve Jobs. I would LOVE to hear from you! 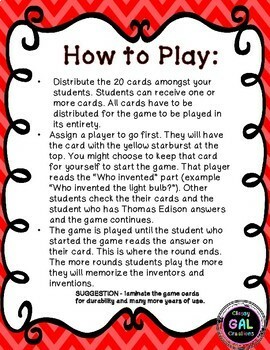 Please leave feedback and let me know if your students enjoyed this activity!